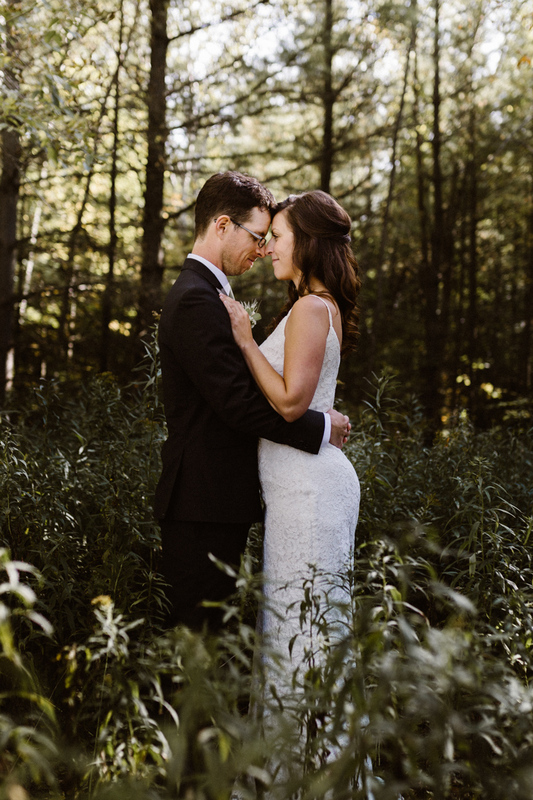 Jon and Shannon both grew up in the small town of Midland, Ontario, and their personalities are reflective of their small-town values: both are incredibly kind, caring, gentle, and family-oriented. Jon proposed to Shannon in his parents’ backyard surrounded by flowers, candles, and pictures of the two of them together. Their wedding, on a windy September day, was beautiful, elegant, and memorable. 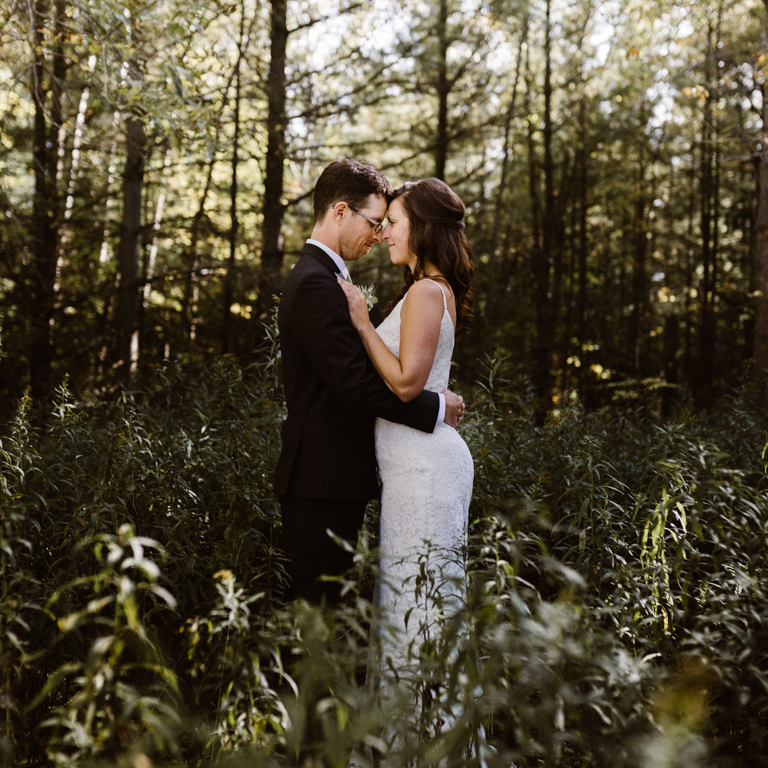 The venue, the sprawling grounds of the Belcroft Estates in Innisfil, Ontario, was surrounded by glowing fields of goldenrod in full bloom. 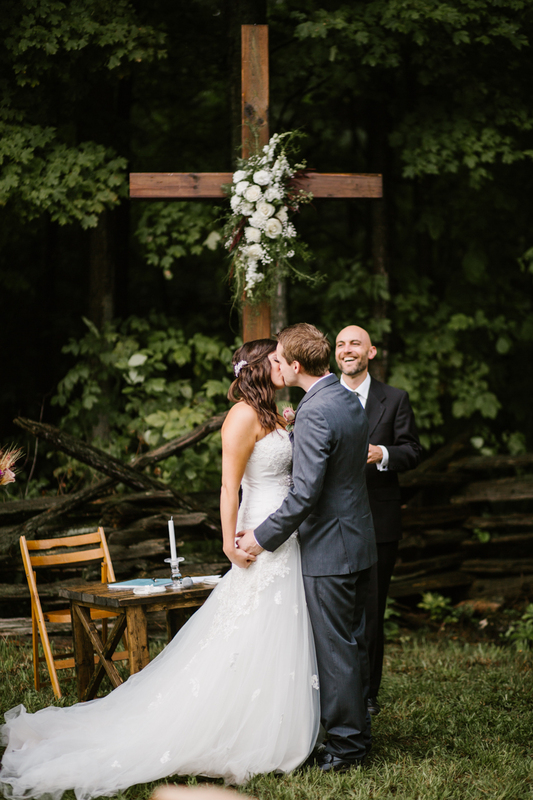 After exchanging intimate and personalized notes, Jon saw Shannon in her dress for the first time in between a long row of trees. He was almost at a loss for words, but we did catch him saying “beautiful; she’s beautiful”. Portraits were then done in the fields of goldenrod, in between the trees, and throughout the beautiful surroundings. The rain tried several times throughout the day to hamper the occasion. Just as it looked as though the ceremony would have to be moved inside, the rain stopped just in time. Friends and family gathered outside as Shannon arrived at the aisle in a vintage Rolls Royce. From there, her mom took her hand and led her down the aisle to Jon. The ceremony was elegant and beautiful. At one point, Jon looked to the sky, saw the sun peek though, and smiled. The rest of the day went off without a hitch. Jon and Shannon danced for the first time as husband and wife with the sun beaming through the tent. As day began to turn to night, the clouds that earlier looked like they would hamper the day shone in bright colours as the sun set. As the party ensued, we slipped out with Jon and Shannon to capture them one last time in front of the giant “LOVE” sign overlooking the dancing inside.